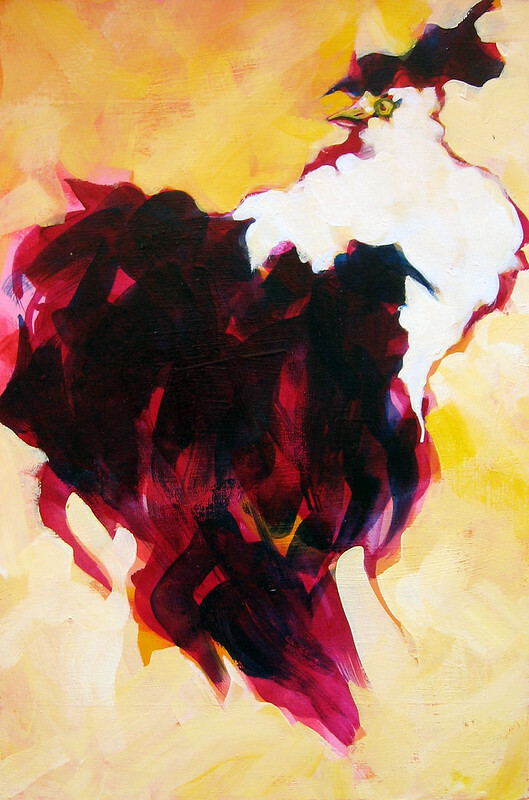 Rooster Study, after Seabourn, acrylic on masonite, 12 x 8 inches, 2011 by Sarah Atlee. Hey, artists. We all know that we should never stop learning, right? Good, I'm glad we're on the same page about that. I love your hair that way. I've been taking a painting class taught by beloved Oklahoma artist Bert Seabourn at Oklahoma Contemporary (which, until last week, was called City Arts Center). This is the second time I've taken Bert's class, which is really more of an open workshop. The images in this post are from the first time I took his class in 2011. I've been to art school. Why am I taking a painting class? 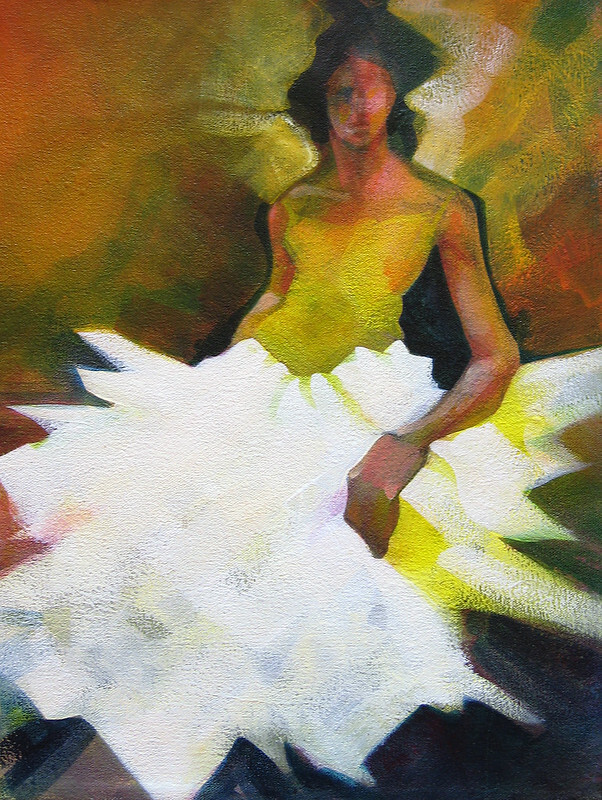 Dancer Study, after Seabourn, acrylic on canvas, 18 x 12 inches, 2011 by Sarah Atlee. A little bit of influence can go a long way. In Bert's class, I always paint something completely different from what I would have made on my own. There's no pressure - I'm not painting for a show, and I'm not getting any grades. As students, we get an open class format in which to experiment, ask questions, try new things, and get input from a master painter. We also learn by watching other students paint in our individual styles. So I can learn by watching Bert. Bert begins class by handing out copies of a sketch, a previous painting, or some other image that interests him. 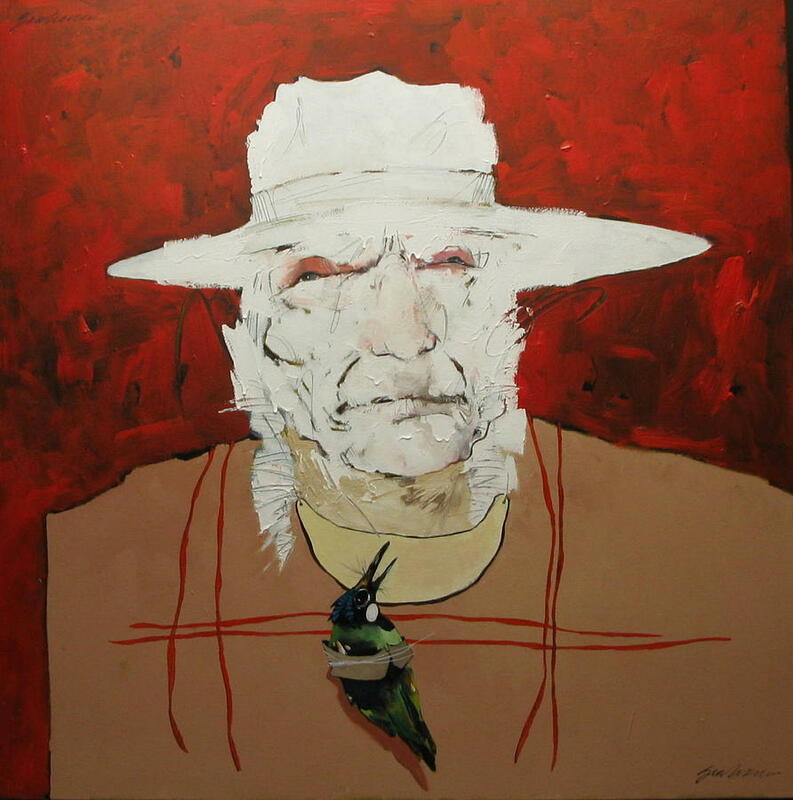 He invites each student to interpret the image in their own way. Bert also paints along with us. 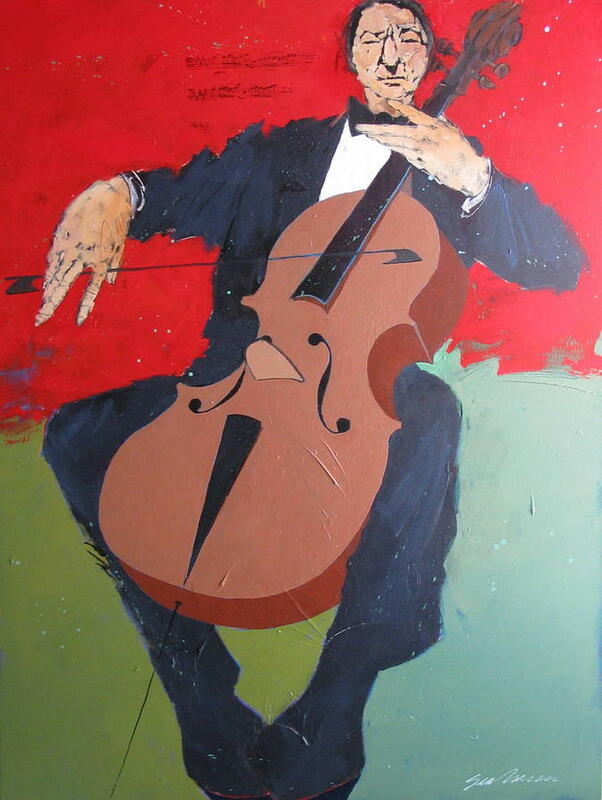 He brings a new canvas to every class, makes a sketch (usually with vine charcoal), and the paints a painting. It's a little bit magic. Also, he's been doing this for awhile. You can see from his work that he paints in an energetic, spontaneous way, which makes it all the more wonderful to see him in action. He walks around the classroom and makes suggestions, helping us if we get stuck or mired in a difficult spot. But, even more than his direct feedback, I love having an environment where I know I can try anything. 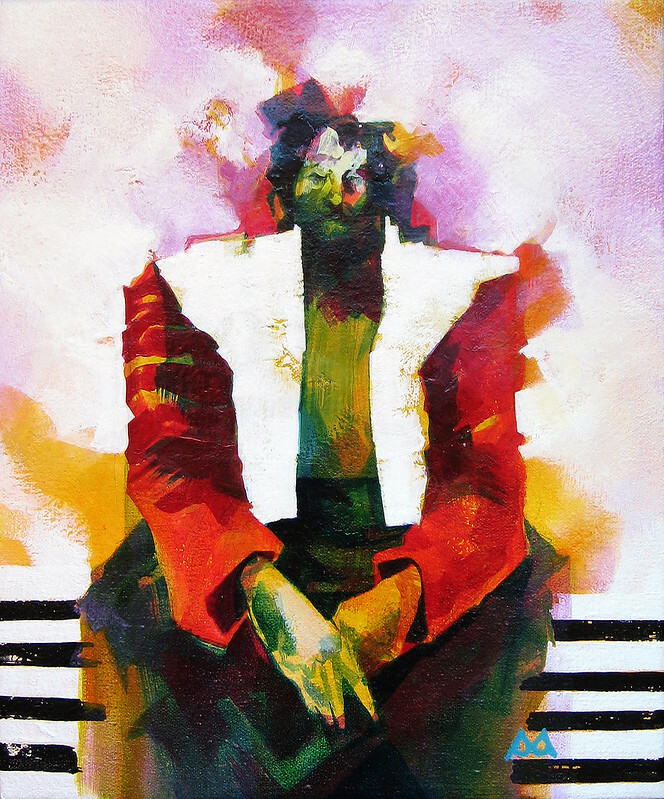 Seated Man Study, after Seabourn, acrylic on canvas, 12 x 10 inches, 2011 by Sarah Atlee. So I can dedicate time to paint. When I'm in class, I stand over a canvas and paint on it for two hours, without thinking about much else. I don't know what I'll paint before I get into the room. When I leave, I take a painting with me that may not be finished, but it's off to a solid start, and it's something I didn't expect. 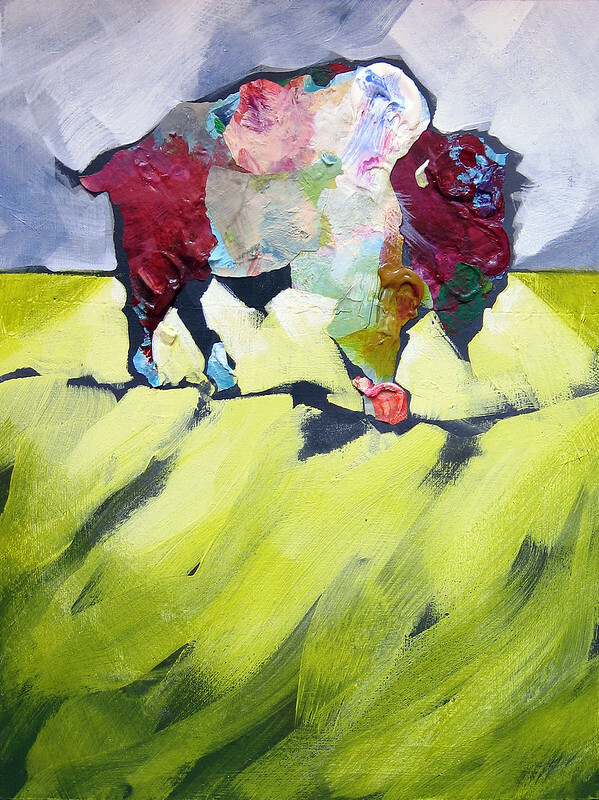 Paint Chip Buffalo, acrylic on masonite, 10 x 8 inches, 2011 by Sarah Atlee. What is the Ninja, Kung Fu, and/or Vulcan weapon equivalent of this class? It would have to be that awesome two-in-one sword that Michelle Yeoh uses in this fight scene. Working with Bert slices straight through what I know about painting, then comes back and hits me from the side with things I didn't know I could do. Excellent question, thank you. 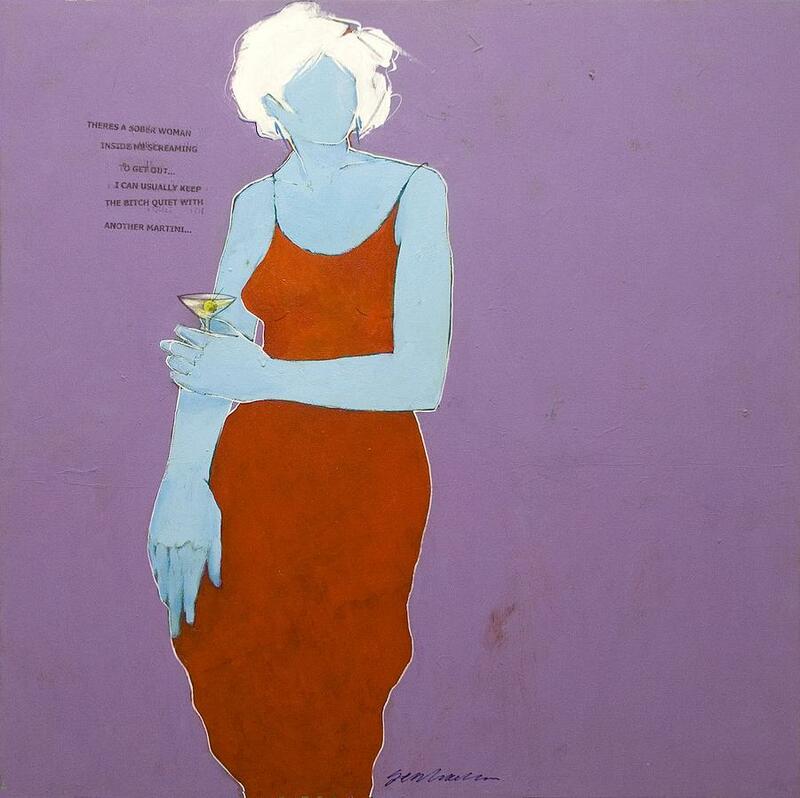 Oklahoma Contemporary has an excellent education department, with classes for adults and kids in all media. They are a great asset to the OKC Metro - check 'em out.